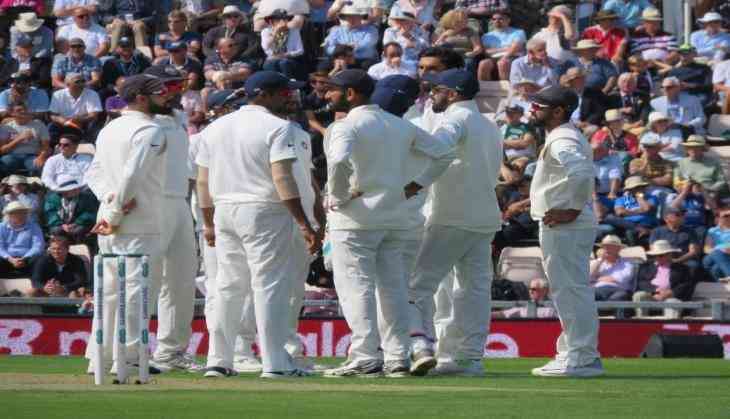 Indian pacer Mohammed Shami scalped the wicket of Jos Buttler. For India, Jasprit Bumrah bagged two wickets while Ishant Sharma and Hardik Pandya chipped in with a wicket each. Moeen Ali and Ben Stokes were at the centre for England. And, that's Lunch on Day 1 of the 4th Test with England 57/4. A fine display of bowling by the Indian seamers and there has been no let up for England.